On the road, the MDX is pleasant to drive. The ride is smooth and the steering is precise and inspires confidence. The mid-size crossover SUV has become the primary workhorse family vehicle of our time, and Acura has a solid contender in the 2017 MDX. This SUV offers well-balanced performance, your choice of luxury features, and a very good safety package. 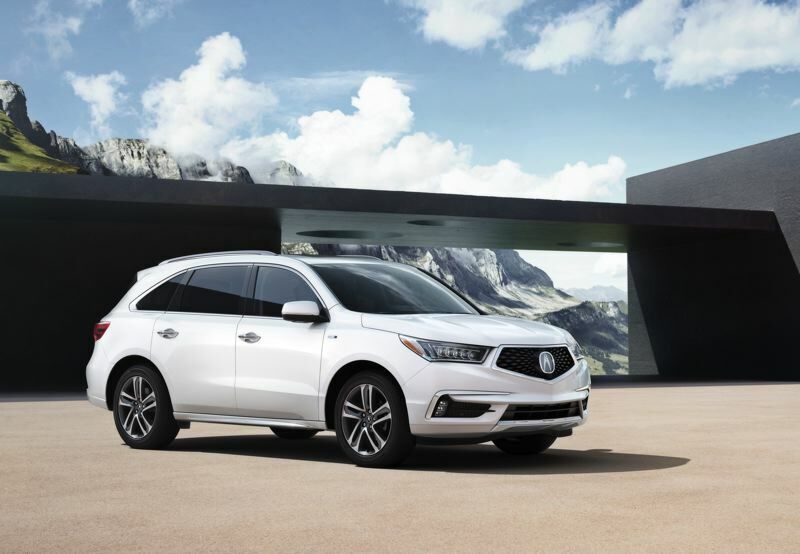 The MDX comes with the same 3.5-liter V6 engine that Acura's been using for some time, so it's fully developed, smooth, and reliable. You get 290 horsepower and 267 pound-feet of torque, but that's not the important thing. You also get a 9-speed automatic transmission so the engine can always be in a good gear for performance and fuel economy. The MDX comes with your choice of front-wheel-drive or Acura's noted Super Handling All-Wheel-Drive. This is different from other AWD systems on the market in that Acura's system can freely distribute its engine power to any of the four wheels with grip. The result is that SH-AWD helps the MDX handle well on dry pavement, and it also provides excellent traction in wet or icy conditions. 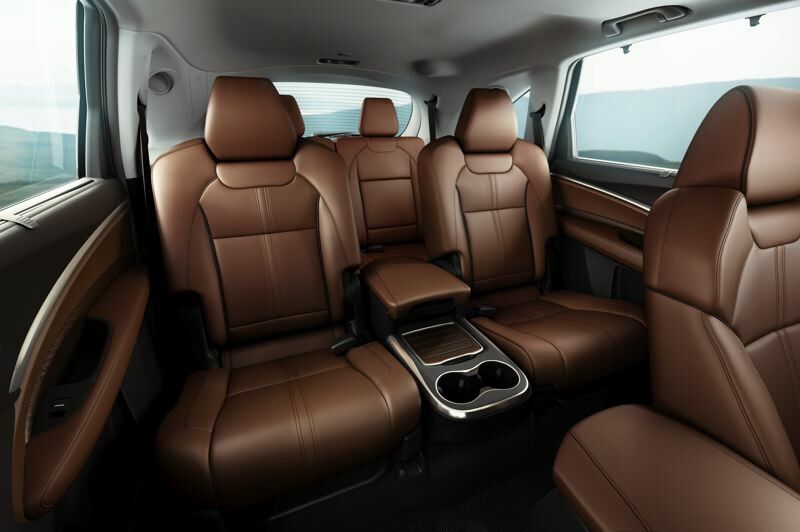 Inside, the MDX is a very luxurious SUV even in the most basic trim. The MDX starts at $44,990 with a comfortable, well-designed leather interior, and 90 cubic feet of cargo space with the rear seats completely folded. You get three rows and seating for six or seven passengers, depending if you choose a second-row bench seat or captain's chairs. The MDX comes with a full technology package as standard equipment, with upgrades available. The system starts with an 8-inch touchscreen, Siri Eyes-free, text message reading, Bluetooth and satellite radio, and you still get a CD player, which is nice. There's an available second-row video entertainment system if you want it. Advanced safety is also standard on the MDX, including a multi-view backup camera, collision mitigation braking system, adaptive cruise control, lane keeping assistance, and a road departure mitigation system. Available convenience and driver assistance features include blind spot information, a surround-view camera, front and rear parking sensors, and a rear cross traffic monitor. On the road, the MDX is pleasant to drive. The ride is smooth and the steering is precise and inspires confidence. The brakes are predictable and more than powerful enough to stop the vehicle. You'll be comfortable, and visibility is excellent. The MDX is an SUV I can recommend with more than the usual experience, because while I was testing this vehicle, I got rear-ended pretty hard on the freeway. The MDX did its job well. It protected me perfectly and it absorbed a hard hit with very little visible damage. A collision is never fun, but when the unexpected happens, you want to be in a safe vehicle. The Acura MDX is a solid choice for luxury, features, and safety.